PlayVox Enhancements and Improvements - May 18, 2017. We’ve added a comment section to each scorecard question you create. Filling out this section is optional to all evaluators.Points for Not Applicable (N/A) answers in a scorecard will no longer apply in the final score of the evaluation (for new scorecards). Percentage scores will factor in only those questions and responses that apply. No existing scorecards are affected. We have created a new feature within Calibration, that allows the manager of the session to compare evaluation comments between the expert and the quality analysts. We offer a new Performance integration with Desk.com. 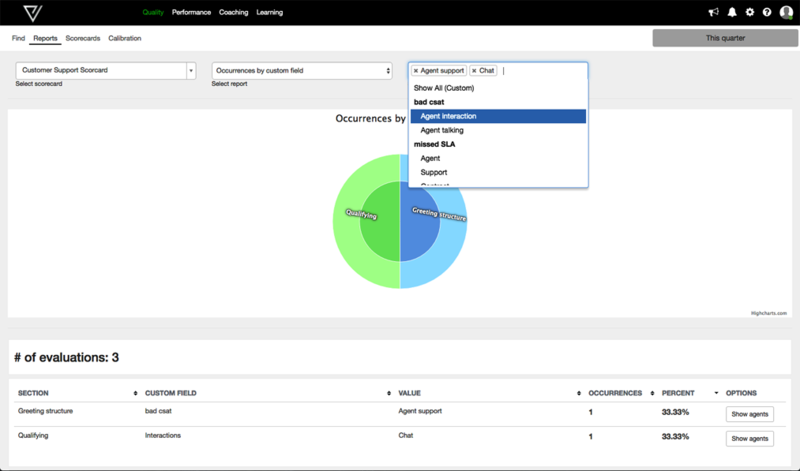 You can now create KPIs from different data sources for the same campaign. I.e: Zendesk, Desk.com and FTP. You can now share Learning Sessions across an entire team without having to go through user per user. For administrators, we now have a new tool that allows you to more easily add, remove, and move users from one team to another. We hope you like the changes we made!Feel free to reach out to us in case you have any further questions or feedback.